FireSense is a specialist wholesaler and supplier of Fire Alarm & Cable products to Australian Contractors. FireSense is 100% Australian owned and does not perform installation or service work to end users (ie: we do NOT compete with our customers). With substantial inventory in our 3 warehouses we have a complete range of equipment to suit all fire alarm and electrical installation companies. David Callus is the Managing Director of FireSense. 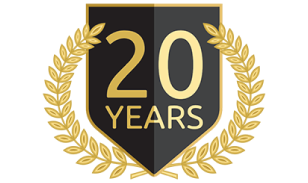 With an electronics and finance background, David has a long association with the fire & security industry, and is currently celebrating over 25 years’ of Independent Ownership, and Control of Fire Technology companies in Australia. Having spent most of his working career in the Fire Safety industry, Dave is responsible for numerous iconic developments and is a regular contributor of many Australian Standards Committees & Industry Panels. Owner & Managing Director of Inertia Fire Systems from 1989-1998. Developed both hardware and software for Inertia-2400. Managing Director of Notifier/Inertia Australia 1998-2000. 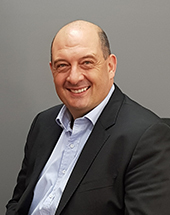 Martin Callus is a founding Owner and Director of Firesense and has been involved in the Fire and Security industry for over 25 years. 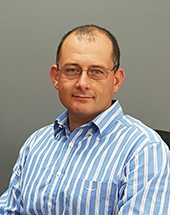 Martin has extensive experience in global procurement, design, manufacturing and logistics to ensure cost effective products are delivered to meet customers’ requirements in a timely and efficient manner. Robert Kaslik is the General Manager, and Co-Founder of FireSense. Originally a Trade Technician at Phillips, Rob was then employed at Notifier Inertia as a Fire Alarm Specialist Technician. 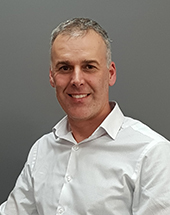 He moved onto a Senior role in in the Sales division for Inertia Fire products & Notifier Addressable products, before becoming the NSW Sales Manager. It was during this period of time that Rob’s working relationship with both Dave & Martin grew into what it is today. With the creation of the FireSense brand, Rob had a leading hand in creating a business structure for new sales & a backbone to supply high level systems to the fire industry, including commercial high rise, government defence projects, hospitals, data centres, infrastructure & specialist HLI systems. As General Manager, Rob now manages and oversees operations of approximately 50 people across our three branches in Sydney, Melbourne and Brisbane, and prides himself on being able to provide the highest level of service possible. Luke Schweizer is the Financial Controller of FireSense. 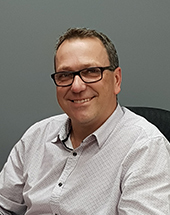 With a Bachelor of Business in Accounting & CPA Qualifications, Luke has worked in the manufacturing and service environments for over 20 years. Throughout his career, he has also performed as a State Manager leading service and sales technicians, which has allowed him to confidently make commercial and business decisions. Luke specialises in cost and management accounting, ensuring efficiency and accuracy within FireSense, from purchasing right through to delivery.